​not sure what action steps to take?? TAKE TWO ACTION STEPS NOW!!! Get clear on how you are going to repurpose and chunk down your content to build up that know, like and trust factor with your ideal clients. LET'S BUILD YOUR MARKETING PLAN TOGETHER!!! 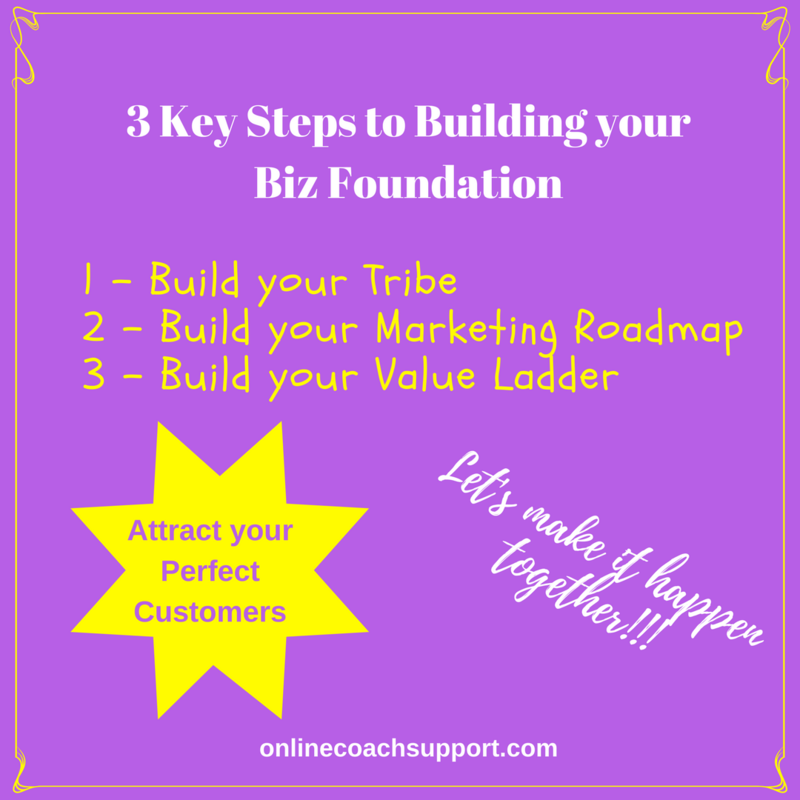 ​Together we will start creating your marketing roadmap and the steps that you need to take to reach your first milestone, your first money goal, identify the number of clients you need etc and so on until you achieve the outcome you want. I launched my very first online course way back in 2009… and it had one person on it. DO YOU HAVE too many things going around in your head a and not sure what action steps you need to take next? DO YOU NEED help to just LAUNCH your latest offer - a product, program or service?? 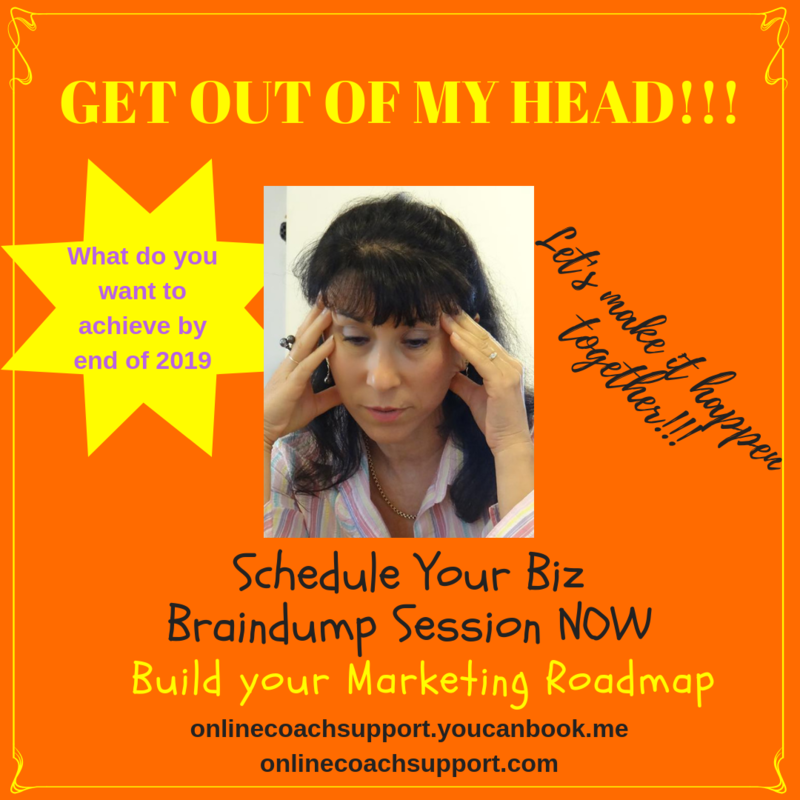 DO YOU NEED a "braindumping" session to get the thoughts that are in your head to create your own marketing roadmap?? You don't have to do a massive big launch to start off with, you only need ONE paying client. JUST MAKE IT HAPPEN - Remember progression not perfection, MASSIVE imperfect ACTION. TEST out your offer by doing a beta (testing launch) or what is known as a soft launch. This is normally run at a heavily reduced price to what you think it should be. 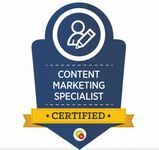 This allows you to test it out, get valuable feedback and testimonials, create and repurpose your content and then refine it and run it again and again. WOULD YOU like to create your marketing roadmap so that you can tweak, work out your strategy - such as how you will nurture your clients to want to sign up for your offer? WOULD YOU like to have structure, clarity and be able to RINSE and REPEAT the action steps required each time you promote your offer? WOULD YOU like to get just 1 - 10 people signing up to do YOUR program, paying cash to you so YOU can test it out? Not sure how to attract your perfect customers!! Have you heard of the analogy of the honey bees? 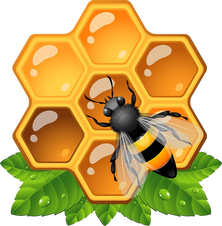 The end result is for them to make the honey but it is not their most important role. ​Their journey starts with them cross pollinating the flowers. Reference One Minute Millionaire (book by Mark Victor Hansen and Robert G Allen). ​Let's work together like bees and cross pollinate by helping to support and promote one another. You will see these bees all throughout this website.